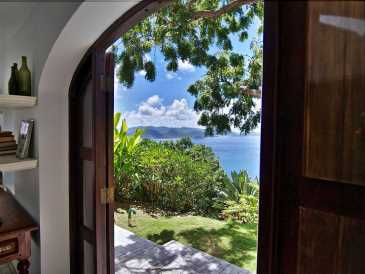 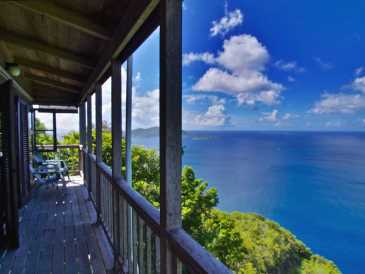 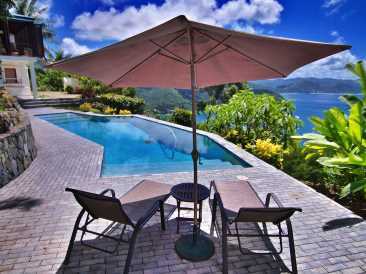 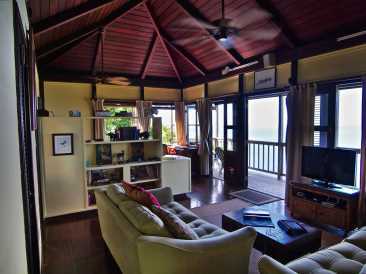 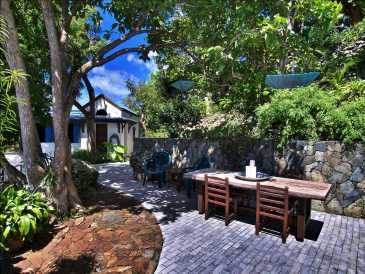 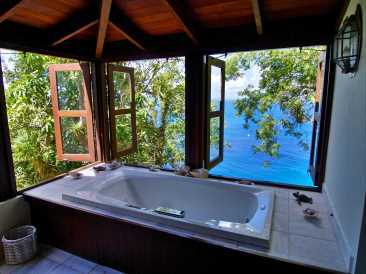 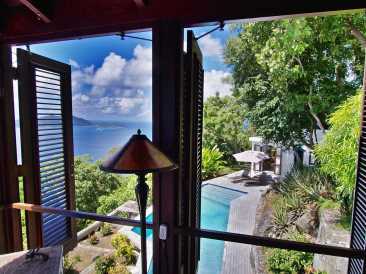 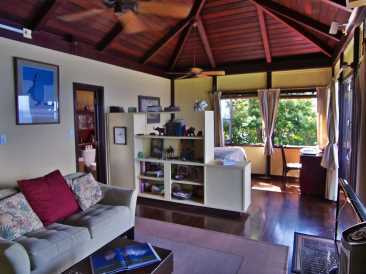 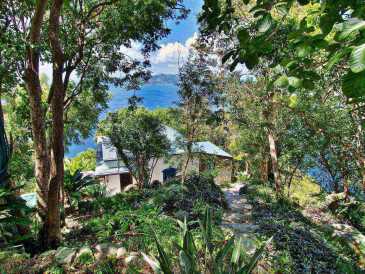 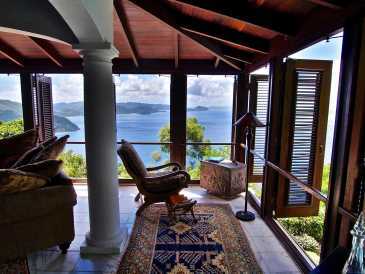 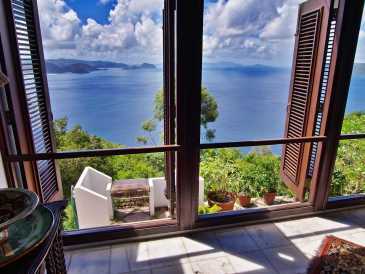 Amazing Very Private 4 Bed Home with 3 Acres Land Luck Hill, Tortola, BVI. 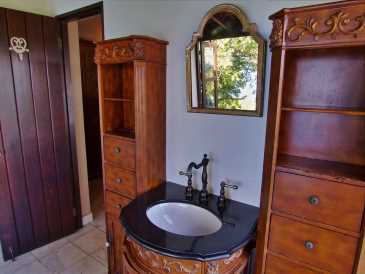 Unique, fabulous home set on a three acres. 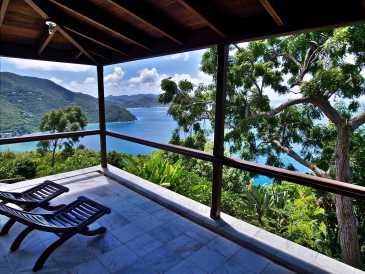 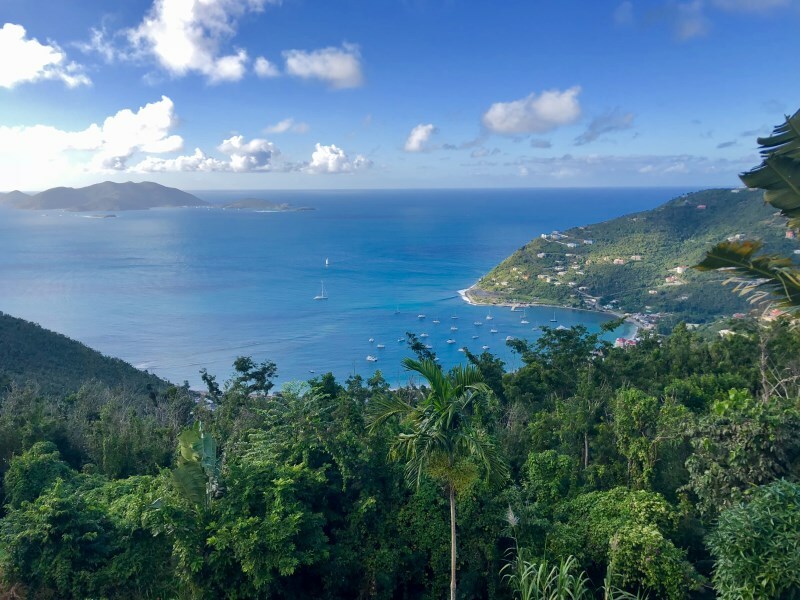 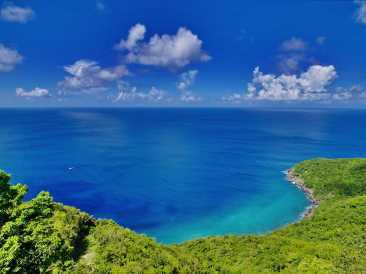 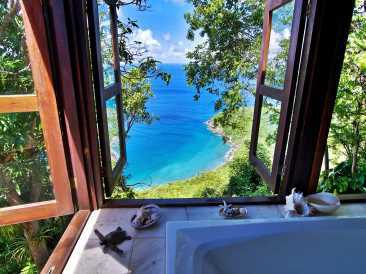 Perched on the north side of Luck Hill facing Cane Garden Bay, Jost Van Dyke, St.
Thomas, this is an extremely private and awe inspiring home! 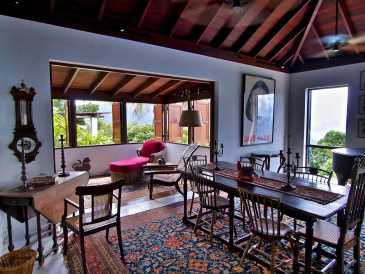 Upon entering, an airy dining room and sitting room overlook fabulous, sweeping views. 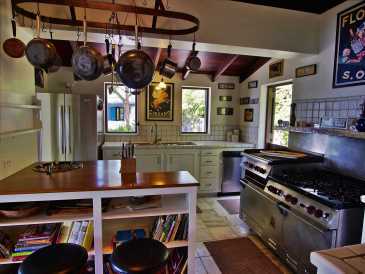 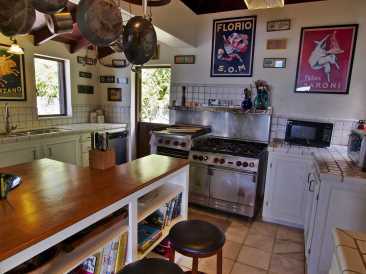 A very large, well equipped kitchen and large pantry area plus a commercial grade stove allow for great cooking. 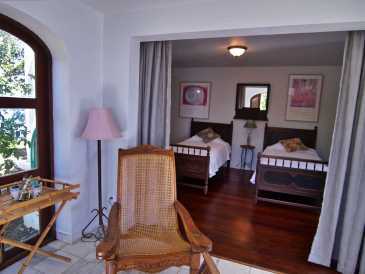 On the other side of this building is a large bedroom, en suite bath and inviting outside sitting area. 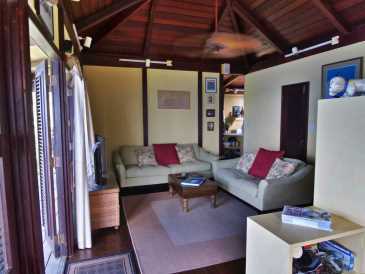 There are many lovely outdoor sitting areas leading down to a separate building housing the master bedroom with extraordinary bathroom with views overlooking Luck Hill Point. 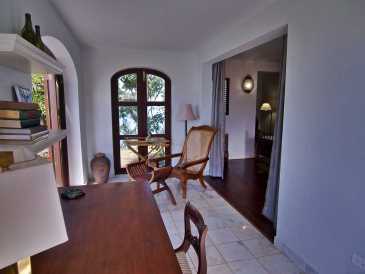 An outside balcony overlooks Cane Garden area. 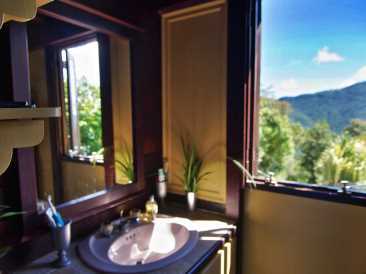 Below a third bedroom and bathroom are located. 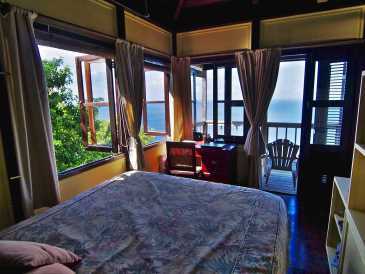 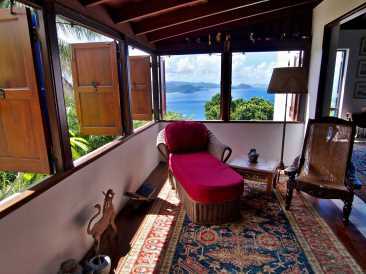 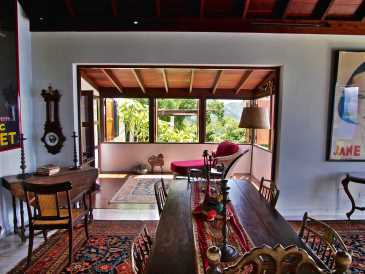 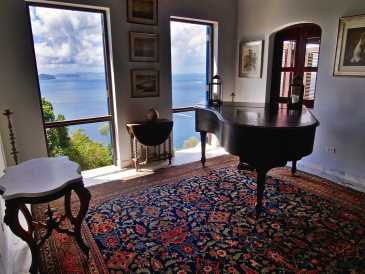 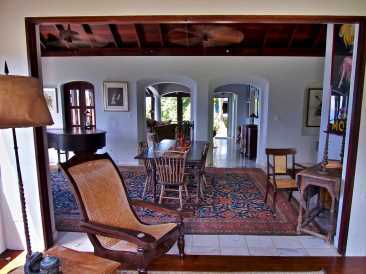 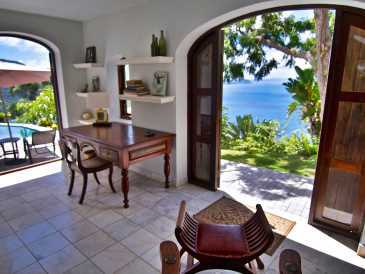 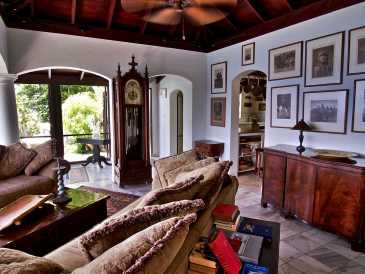 The home is full of lovely antique furniture marrying the Caribbean with the old world charm. 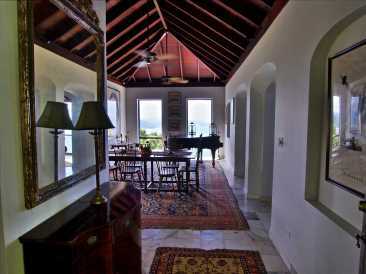 Around to the bottom of the main building is a great BBQ sitting area. 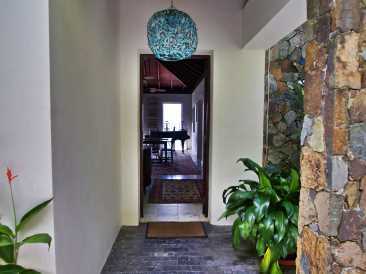 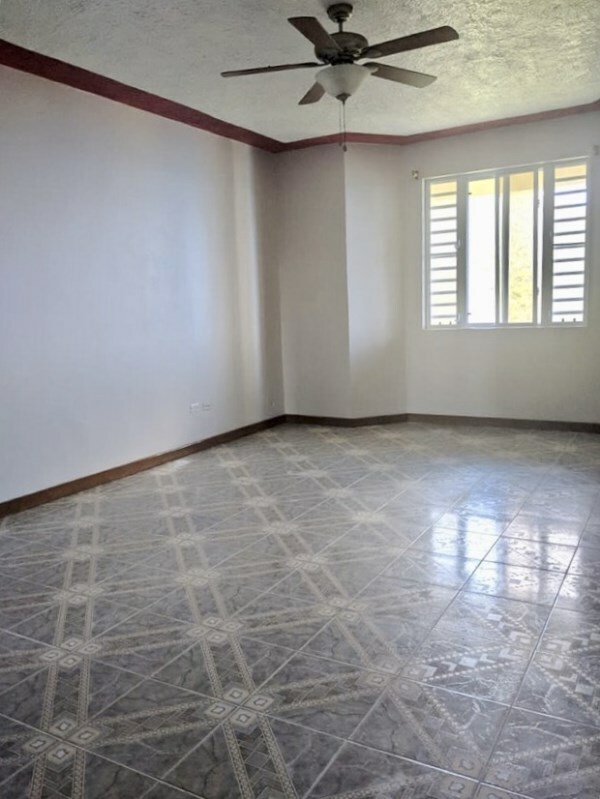 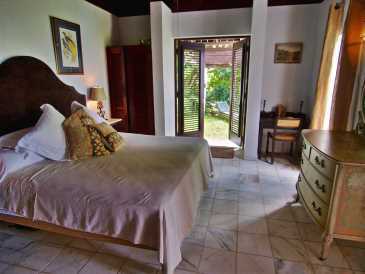 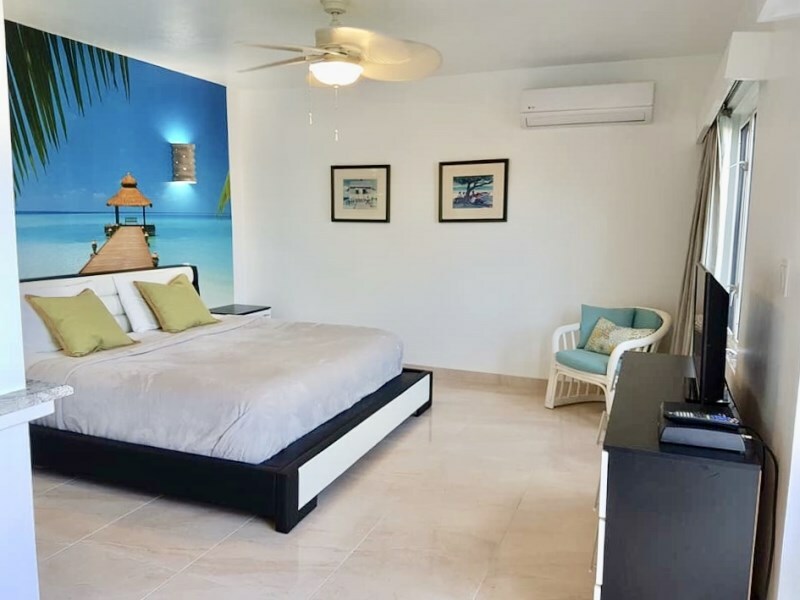 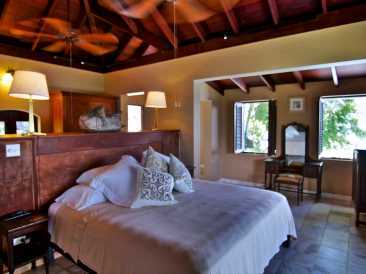 Up above at the top of the property with an amazing views of Luck Hill Point and Jost Van Dyke sits a spacious 2 story building.The top floor houses an intimate studio apartment, downstairs a car garage and a second guest bedroom. 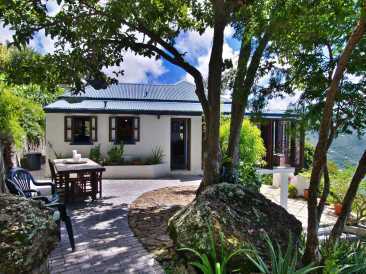 A full service generator completes this outstanding home. 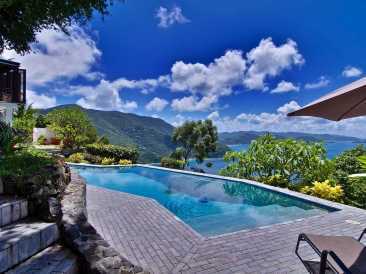 This extraordinary home is a rare jewel in the BVI!